 Baja Cantina was created in 2015 and is founded on our love of surf, sunshine and above all tacos! 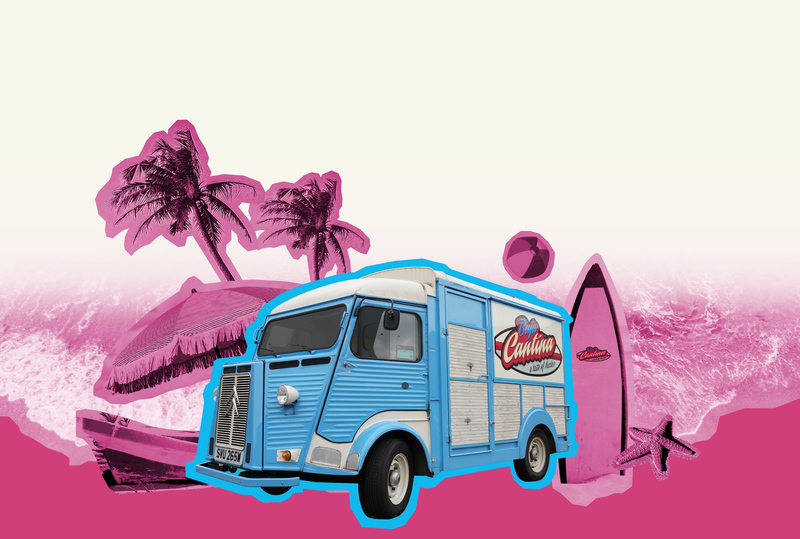 ‘Eddie’ our beloved vintage Citroën van takes the guise of a taco shack on the beach. Whilst we can’t guarantee sunshine or the feeling of the sand between your toes we can deliver the fresh flavours and mouth watering taste of our made to order tacos, nachos and quesadillas. Catch us out and about on the street, at festivals, events and everything in between. We’re the ideal caterer for any event or private party that is looking for a unique, fun, festival feel and above all fresh and delicious food. We are based out of Milton Keynes and will travel within a radius of 40-50 miles for events. The bigger the event the further we’ll travel! Our food is fresh and fun. We use local suppliers for our meat and produce whenever possible. We are conscious about sustainability and make sure all our disposables are fully compostable and biodegradable. The ‘Cadillac’ of Mexican street food. A choice of either 2 x corn (gluten-free) or flour tortillas. Served up with a choice of tasty fillings (see sample menu) and fresh toppings. Beef brisket marinated with ancho chillis, tomatoes, onion and our own mix of spices and herbs. Chicken marinated with cumin, oregano, cayenne pepper, chipotle chillies, cinnamon and garlic. Shoulder of pork slow cooked with cola, oranges, peppercorns, salt, garlic and thyme. Peppers, onions, mushrooms, corn and beans cooked with tomatoes, oregano, cumin, arbol chillis, all-spice, cinnamon, garlic, salt and pepper. Beef marinated with pineapple, lime, soy sauce, garlic, oregano, paprika, salt and pepper. We serve this with either a fresh mango, pineapple or kiwi salsa. Just depends on our mood! The squeaky cheese grilled to a golden brown and then served up with one of our fresh salsas. Responsibly sourced white fish shallow fried in our golden batter then served up with chipotle slaw, mango salsa and chilli mayo. Our menu does change from event to event and we’re happy to work with private clients to tailor a menu that suits their needs. We are based out of Milton Keynes and use local suppliers wherever possible. 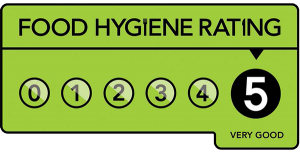 We have a hygiene rating of 5 and all the necessary paperwork and insurances. Crunchy corn chips (gluten-free) served how you like it. Well serve it up Mexican style with our chunky homemade guacamole and some fresh lime or take it north of the border with melted cheese and fillings/toppings of your choice. The ‘gooey’ one! 2 x corn or flour Tortillas stuffed with our cheese mix and then grilled to perfection. Served up with our homemade guacamole and fresh tomato salsa. Add fillings of your choice. We cater to festivals, weddings, private parties and everything in between. We love to bring a relaxed, laid-back festival feel to events whilst ensuring our food is of the freshest and finest quality. We can cater for any dietary needs and are happy to work with our clients to tailor a menu that suits there needs. Please email us with questions, specific requirements and we can provide quotes.